Do You Have A Business Operating System For Sales? In my blog post, “Seven Signs You Need A Business Operating System”, I called out the seven signs that indicate you need a business operating system. What is a business operating system? I love investor and well know entrepreneur, Brad Feld’s definition. In this series of blog posts, I am going through each one of these signs and describe how the Envisionable business operating system, EBOS helps to solve these problems. In this blog post, our focus is #2 – “Increased Increased sales is not resulting in increased profit, only more chaos”. If increased sales is not resulting in increased profit, you most likely need a business operating system and these are the steps you need to take. Back to my point around what a business operating system does. It creates clarity, alignment and superior execution. Let’s start with the “clarity” part as it relates to sales. Without 100% clarity around what you are trying to accomplish in sales there will be problems. I often meet companies who have not set clear sales targets. Without clear sales targets, it is impossible to budget. Without a budget, you have no idea if you’re actually accomplishing your goals. Profit has a way of easily leaking out. Key Takeaway – establish clear sales goals and targets by revenue line. Ensure each member of the sales team know their goals and and monthly targets. Once your have clarity around your sales goals, these goals must be communicated to your team. How much of “X” product we plan to sell to “Y” customer. Often leaders miss this important step and are shocked when problems crop up. This is especially true if you are a sales leader and the CEO. Often there can a misunderstanding around what is takes to actually deliver on a sold contract. I’ve seen companies run into trouble when they are not selling to their ideal customer (I’ve done it too) and are chasing revenue. Again without alignment around the ideal customer and where you can really deliver a superior experience, you are headed for trouble. Customer and employee churn is next since frustration rules the day. Key Takeaway – make sure the entire company is tuned into what your ideal customer looks like. Ask the team to give you an honest assessment of how well you can actually deliver what you sell (and listen to what they say). Embedded in the idea of a BOS is the idea of repeatability or predictability. A business operating system is what helps you to execute on sales in a repeatable way, lowering the cost of sales and increasing your profit. So how are you executing on sales? Once you have clarity on the goals and the team is in alignment around those goals, you now have to execute. You need a way to check into the weekly sales results to ensure accountability and execution of those goals. We suggest a scorecard which everyone can refer to measure success. Execution is not a one time event. It happens every hour of everyday. Superior execution is meeting or exceeding the expectation which has been set. Key Takeaway – make sure you have a system to check-in to ensure your strategy is working. How are you meeting with your sales team on at least a weekly basis you ensure targets are being hit. Have you developed a sales scorecard? To help, we’ve created a FREE Sales KPI tracking tool. 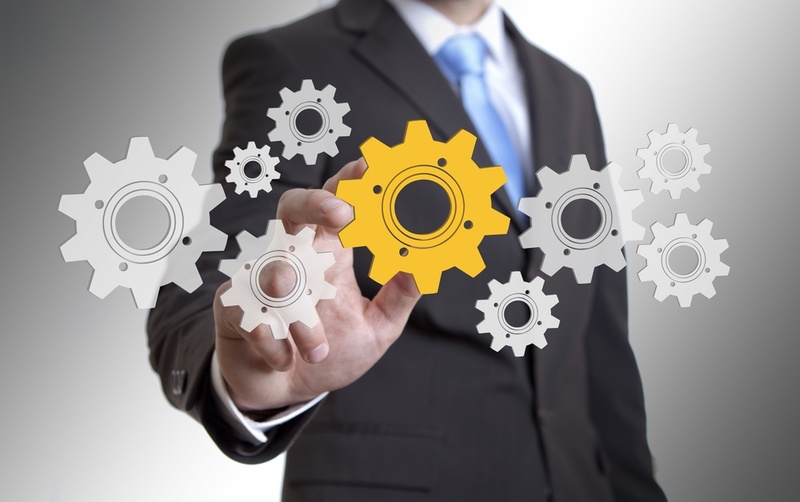 The business operating system can be better described as a continuous improvement process. Direction is clarified, the team is aligned around the plan and execution is monitored against that plan. Results are generated and the clarity cycle begins again. Not generating superior results in your business? You need a business operating system. Need help, contact us for a FREE 15 minute strategy call to see if we’re a good fit.